School and college icon set. 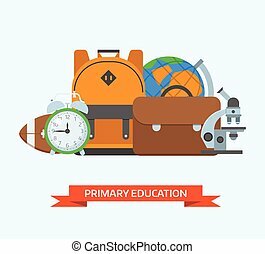 Basic education elements and objects vector collection. 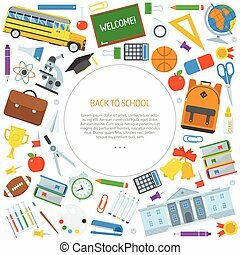 Schoolbag, bus, college building, chalkboard, stationery items. Primary school year equipment and appliances. School and Education Icons. Vector Illustration. School and education outline icon set. Learning elements silhouette icons. 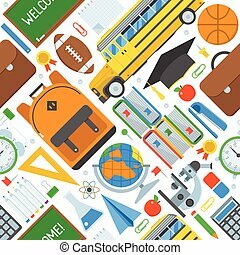 Schoolbag, college building, chalkboard, schoolbus, stationery. Elementary school suppliesand equipment collection. Basic education seamless background. 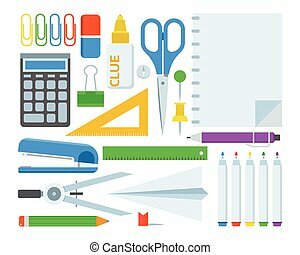 Back to school pattern with study and learning icons and stationery elements. 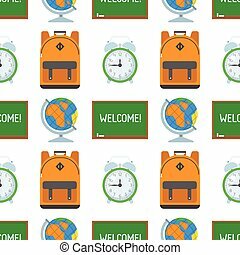 Basic education seamless background with schoolbag, chalkboard, globe and alarm clock. 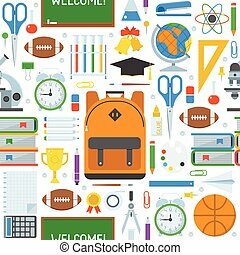 Back to school pattern with study and learning icons. 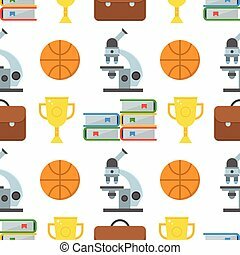 Education seamless background with microscope, basketball ball, trophy, books and schoolbag. College and school pattern with study and learning icons. Smiling graduation man and woman education students. 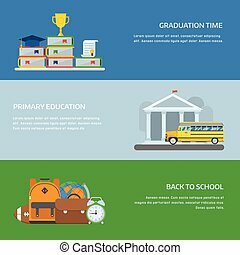 Class school university success career pictogram. Graduates guy and girl in graduation hats vector icon. Happy and joy emotion concept. Stationery icon set. Elementary school appliances collection. Education equipment. Scissors, eraser and other study vector outline icons. Stationery set of office supplies. Stationery elements set. Elementary school appliances collection. Education tools. Scissors, eraser and other study equipment. Primary education concept illustration for banner or hero image. Back to school icons. Studying and learning elements collection stylized in school-bus shape. , Stationery, equipment and appliances. Basic or higher education banner set. Primary school backgrounds for website and internet. Elementary school year supplies and accessories backdrop. Flat design education temple image. Vector school building illustration. Academy, college or courthouse icon for web and application isolated on white. 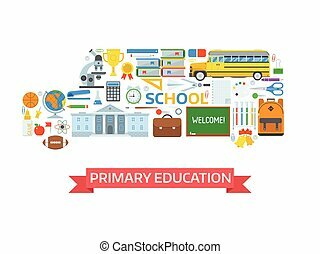 Primary education background. Basic school elements pile. Schoolbag, alarm clock, microscope, world globe, and rugby ball. Elementary school year equipment and appliances set. Back to school concept. Basic education background. Back to school elements concept in circle form with place for text. Elementary school year supplies backdrop. Back to school congratulations card or invitation template. Smiling graduation man and woman students. Graduates guy and girl in graduation hats vector icon. Basic education background for internet. 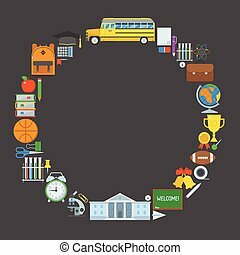 Back to school elements concept in circle form with place for text. Elementary school year supplies backdrop. Back to school flyer template or invitation card.